At St. Edward’s, Religious Education is taught according to the rites and teaching of the Catholic Church. The Religious Education programme that the school uses is called 'Come and See' and is approved by the Bishops Conference. While Religious Education has a particular and valued place in the timetable, it also underpins and is reflected in all areas of the curriculum and school life. Other world faiths are also studied as part of the programme each year. The worship which takes place reflects the life and worship of the Catholic Church. Prayer is threaded through the school day. We aim to develop the spirituality and prayer life of each child. Our children learn traditional prayers and are encouraged to pray in their own words. They have the opportunity to prepare for and share in our school assemblies. 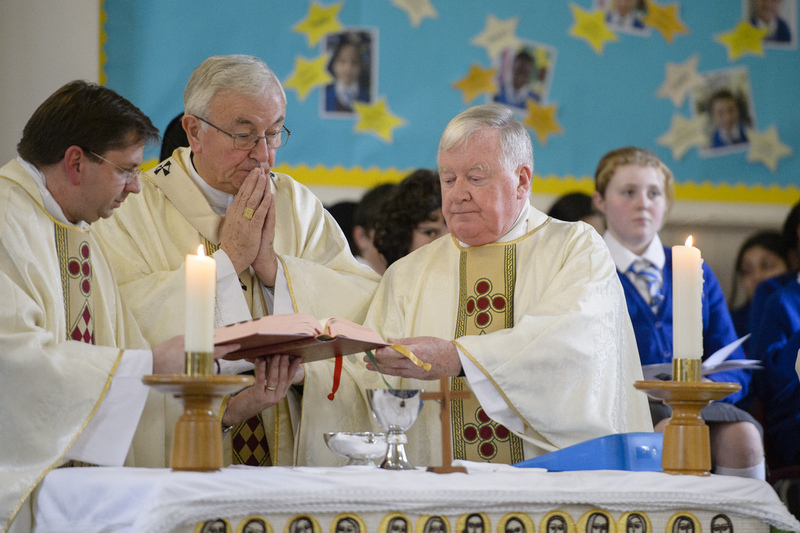 The spiritual life of the school is further developed in a range of liturgies within our School/Parish community. This includes class / year masses, liturgies, whole school masses, penitential and celebration services and times for reflection. On the 1st of October2015, St. Edward's was inspected in Religious Education. The inspectors focussed on the areas of Classroom Religious Education and The Catholic Life of the School. We are very pleased with the results! The overall effectiveness of classroom religious education was judged to be GOOD. The curriculum is carefully planned for by a strong RE leadership team. 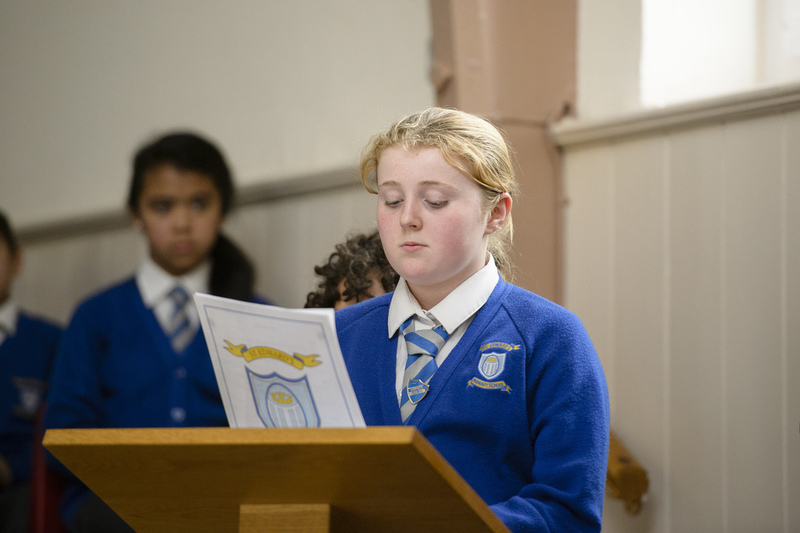 The RE curriculum and the school's mission statement are central to the education of pupils of all faiths in this school. Teaching is at least good in every single class with some outstanding. The headteacher, senior leadership team and governors are very strong and determined to ensure continuous improvement for this ambitious school. The behaviour of pupils in class and around the school is outstanding. 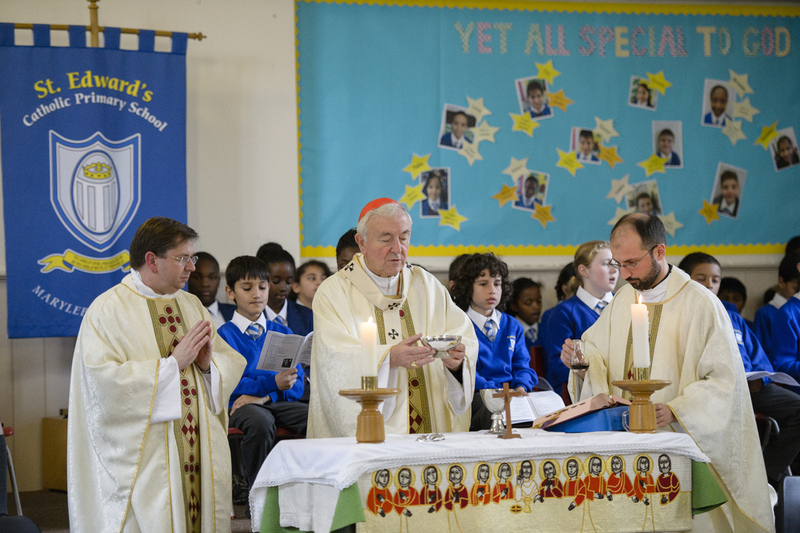 Every pupil of every faith is respected and valued during lessons and this is a commendable aspect of this particular Catholic school. The overall effectiveness of the Catholic life of the school was judged to be GOOD with OUTSTANDING features. The Catholic life of the school is at the heart of everything the school does and permeates all aspects of school life. It is a very warm, welcoming and inclusive community. Prayer and worship are an integral part of school life. Pupils are keen and are given opportunities to be of service in a wide variety of ways. Partnerships between home, school and parish and also the wider Catholic community are outstanding. Leadership and management of the Catholic life of the school are outstanding with a committed head and strong governors leading the way forward. The school fully lives its Mission Statement of "helping one child builds the world".